Two researchers from the University of Illinois Springfield are being recognized for having their findings on online service-learning published in the journal The Internet and Higher Education. Kathy Guthrie, adjunct faculty for Service-Learning and Holly McCracken, director of the College of Liberal Arts and Sciences online programs conducted the research and wrote the article “Making a difference online: Facilitating service-learning through distance education”. It was published in a June 2010, edition of the journal, which is available online. 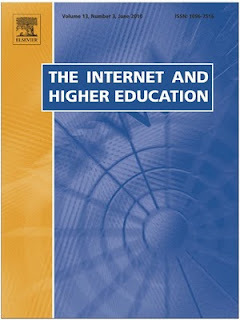 The article explores how UIS is successfully using the Internet to provide service-learning courses in an online format. Through the online courses offered by UIS students are allowed to study from a distance, while performing service in their local communities. “The majority of students originate well beyond the central region of Illinois, including most of the United States and several foreign countries. These variables contribute to a diverse context in which to explore service,” Guthrie and McCracken noted in the article. UIS offers two distinct online service-learning courses, which focus on community engagement and responsible citizenship through different lenses. The first course, titled Learning and Serving in the Community, focuses on community engagement broadly. The second offered course, titled Social Change and Leadership, examines community engagement from a positive social action framework, exploring the means by which different leadership styles enact positive, sustainable change within organizations, neighborhoods, and larger communities. Students identify and develop community service projects that result in specific outcomes planned in collaboration with their on-site supervisors. “While service learning pedagogy has been actively explored in the United States since the 1970s, facilitating this type of learning using the Internet is relatively new,” noted the researchers. Overall, the research team found online service-learning courses provide new opportunities for civic education. Guthrie and McCracken hope the results of the case study from the past three years will help provide information for other practitioners to develop and deliver such courses successfully. The Internet and Higher Education, a is quarterly journal devoted to addressing contemporary issues and future developments related to online learning, teaching, and administration on the Internet in post-secondary settings. The journal is peer-reviewed, with members of the editorial board from around the world.